The chemicals in soda fall under the categories of artificial flavorings, artificial color additives and dyes, acidifying agents, buffering agents, viscosity-producing agents, foaming agents, and preservatives. Drinking as little as one can of soda a day — regular or diet — is associated with a 48% increased risk of metabolic syndrome, a key predecessor of heart disease and diabetes. Soft drink consumption may be a major factor for osteoporosis. Phosphoric acid, is added to many kinds of soda pop to help keep the carbonated bubbles from going flat. Because good health depends upon our bodies being able to maintain a one-to-one balance between calcium and phosphorus in our systems, calcium is released from our teeth and bones into our bloodstreams to help balance the phosphoric acid in the pop we drink. Eventually the phosphoric acid is excreted, taking with it the released calcium. Thus, a habit of soft drink consumption actually robs our bodies of calcium, leading to a condition known as osteoporosis – soft teeth and weak bones. The phosphate content of soft drinks like Coca-Cola and Pepsi is very high, and they contain virtually no calcium. 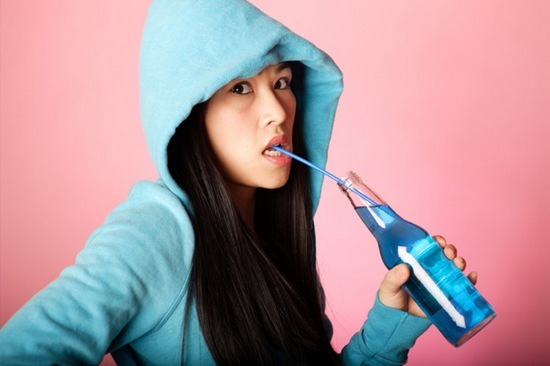 Sugar and acid in soft drinks so easily dissolve tooth enamel. Phosphoric acid is also known to neutralize the hydrochloric acid in our stomach. This is unfortunate, for we need hydrochloric acid to help us digest our food and utilize its nutrients. It is especially required for calcium utilization. So, not only does phosphoric acid leach calcium from our bones, it also prohibits hydrochloric acid from helping to restore it. Bones and teeth just can’t win with this stuff in our diet. 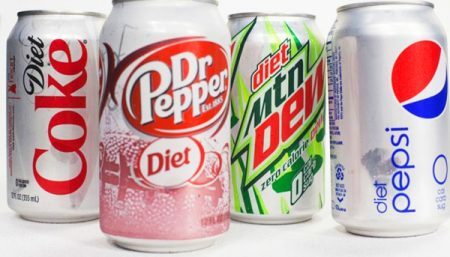 Sodas — even diet ones — may be linked with increased risk factors for heart disease and diabetes. adults who drink one or more sodas a day had about a 50 percent higher risk of metabolic syndrome — a cluster of risk factors such as excessive fat around the waist, low levels of “good” cholesterol,high blood pressure and other symptoms. “When you have metabolic syndrome, your risk of developing heart disease or stroke doubles. You also have a risk of developing diabetes,” said Dr. Ramachandran Vasan of Boston University School of Medicine, whose work appears in the journal Circulation. Those who drink one or more soft drinks a day have a 31 percent greater risk of becoming obese. The relationship between soft drink consumption and body weight is so strong that researchers calculated that for each additional soda consumed, the risk of obesity increases 1.6 times. Consumers have a 30 percent increased risk of developing increased waist circumference — which has been shown to predict heart disease risk better than weight alone. New research links increased artificially sweetened soda to kidney disease. Researchers studied more than 3,000 women and found those who drink at least two diet sodas daily double their rate of kidney function decline. Soft drinks are the single greatest source of caffeine,a 12-ounce can of cola contains about 45 milligrams but the amounts in more potent soft drinks can exceed 100 milligrams < a level approaching that found in coffee. The jitters, insomnia, high blood pressure, irregular heartbeat, elevated blood cholesterol levels, vitamin and mineral depletion, breast lumps, birth defects, perhaps some forms of cancer – these and more are part of the package deal of health problems and risks that come with choosing to consume caffeinated drinks. Taking size into account, the impact of three cans of regular Coke a day on a seven-year-old kid is the same as an adult drinking eight cups of coffee! The sweetener in regular pop, of course, is sugar. 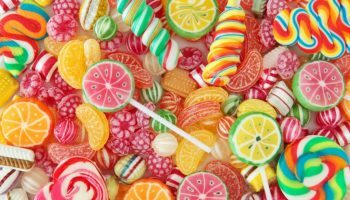 We all know the health hazards that sugar presents. It rots teeth, impairs the immune system, and can lead to the onset of degenerative disease. Keep in mind: For every diet soda you sip daily, your risk of becoming overweight can rise by 37 percent, according to researchers at the University of Texas Health Science Center in San Antonio. It would seem that the bottom line here is to stay away from soda pop. At least cut way back. Neither regular nor diet does your body any good. In fact, a steady habit of soda consumption can do a great deal of harm. You ought to be making every effort to wean yourself from it completely. Try making your own soda pop. Mix club soda or sparkling mineral water with various combinations of freshly squeezed fruit juice.